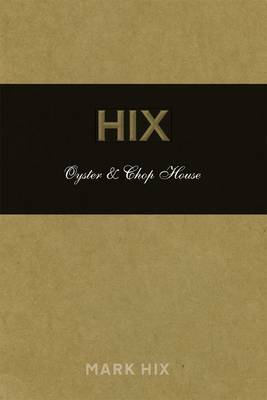 A constant theme on Hix’s menus, alongside the oysters, has been prime cuts of meat, on the bone, cooked traditionally. This direction is followed through into Hix Oyster & Chop House. The meat section of the book starts with a full twenty-five pages of photographs and descriptions of a multitude of different cuts of meat, with notes on their particular characteristics and peculiarities. It’s the sort of introduction to a chapter that wouldn’t be out of place in Hugh Fearnley-Whitingstall’s fine Meat book. There’s a similarly detailed dozen page introduction to the chapter on oysters, covering the different varieties available in the waters around the British Isles, and ending with a step-by-step guide to shucking oysters. Despite the guide, I think that’s something best left to somebody else, preferably somebody wearing a chainmail glove. The recipes are modern British. There are some great ideas – a chapter on bar snacks has a recipe for pork crackling – surely the best part of the pig? – and another for using up salmon skins by slicing them up into chunks and deep frying them. There’s a starter titled ‘heaven and earth’ a marriage of black pudding wrapped in caul fat served on a bed of mashed potato and apple, the recipe based on a popular German dish called himmel und erder. An obvious recipe for a beef and oyster pie is present – how could it not be? – which includes a handful of oysters slipped into the pie at the last minute. Beef and oysters are a classic combination, and adding oysters to meat based pies is an old tradition that works remarkable well. Hix’s pie is golden and domed, statuesque even, with an oyster in a half shell, coated with breadcrumbs and grilled perched proudly on top. Mark Hix is clearly a chef who knows his purpose, and this is reflected in his book. It’s an excellent introduction to his cooking, and there’s a clear sense that the author has tried to strip his recipes down to make them easier for the home cook to accomplish. An accessible, entertaining and interesting cookbook. Published by Quadrille at £25.